Can you imagine making the investment in a brick-and-mortar store only to see it melt away? Yikes! Oh wait—the dog is barking! Oh, just the guy in the brown truck delivering another Amazon package. You know, the company that revolutionized retail and own more than 40% of all e-commerce traffic? You’d put a smile on your box too if you owned that. It is 2018, and e-commerce is almost the norm for most Americans. E-commerce stores can look forward to tremendous growth. At least according to most statistics. But statistics are used to predict the future; they’re not always the best forecaster, and just because the pundits predict growth does not mean your store will grow. The problem with most small business owners is that they tend to set up an e-commerce store online and assume they’re done, never bothering to make updates. It’s important to note that simply setting up an electronic shop is not good enough. E-commerce is constantly evolving and changing with the expectations of the online shopper. This is how the online consumer sees your e-commerce store. Online shoppers expect an optimized user experience. However, optimizing a store is a marketing tactic and not a customer feeling. 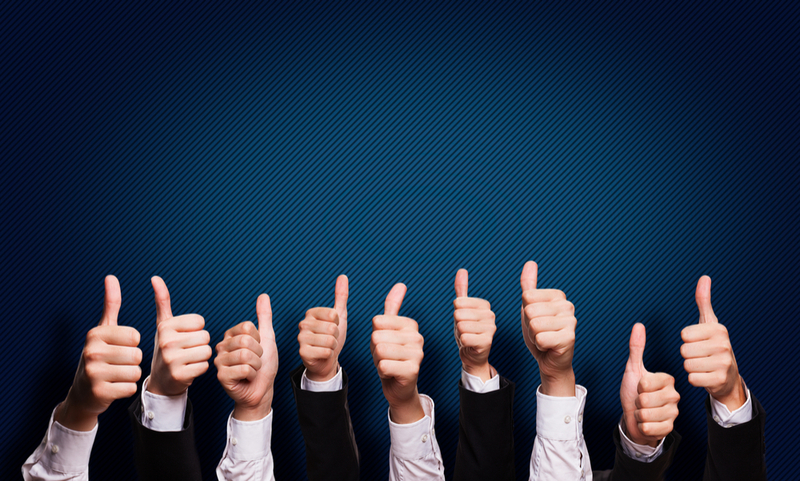 Consumers assume that their user experience will be a great one. Online shoppers have no idea and frankly do not care that it takes a professional web developer and an e-commerce expert to get them to enjoy shopping with you. Free shipping in two days? How dare you not offer that! Every image angle imaginable? Whoa—why can’t your customer feel like they are at the store! Where is Amazon Pay? Geez—no stored payment info! What are the e-commerce trends for 2018 and beyond? More entrepreneurs building more online shopping stores. 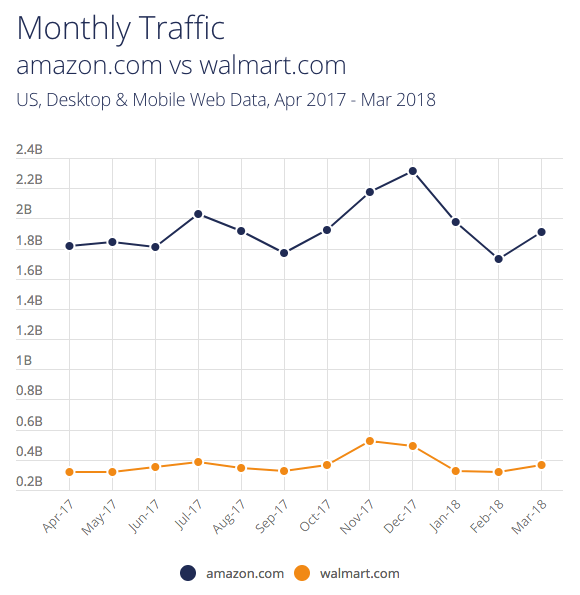 Your online store and your Amazon listing are going to experience increased competition because, luckily or not, depending on your perspective, it is easy to start a store. This does not mean they all succeed, but they are easy to set up. The pundits do not see an end in sight for new store creation. And, these stores will utilize drop-ship from China. How’s that for low overhead? Ok, ok, we know, there’s more to it than that. But, these millennial store creators are going to upset your cart if you aren’t on the lookout. Native or social online shopping. The online shopper does not want to leave their platform of choice just to buy from you. They see what they like and it is what you offer on Instagram, Pinterest, Facebook, and more—they want to buy it there and now. This presents integration challenges for small business owners and the tools they need to adapt to the demand. Voice search – being found with questions. Smart speakers (Google Home, Amazon Echo) are directly connected to voice search technology. When you speak your queries, the device answers you with the most optimized result for your question. According to a Canalys study, as reported by ZDNet, smart speakers have become the fastest growing consumer technology, surpassing market share gains of AR, VR, and even wearables. 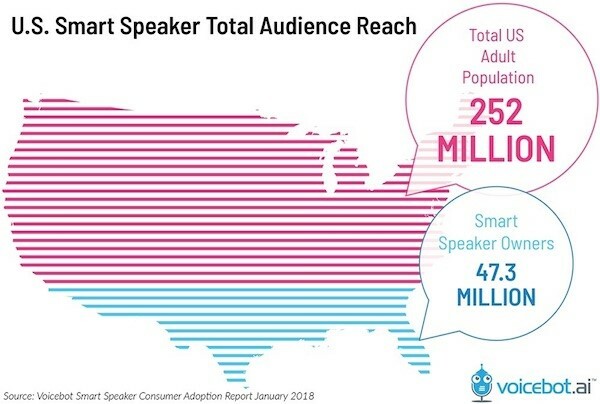 The study also stated that smart speaker sales in the US could reach 38.4 million and 56.3 million worldwide this year—a substantial increase from just two years ago. Easier checkout. It used to be that membership sites held the account information for a shopper. No longer! With improvements made by Shopify, WooCommerce, Amazon Pay, PayPal, and more, one-click checkout is rapidly coming to your store. Online chatbots. Website chat features, with a real person on the other end, have been a thing for many years. Though many stores fail to man the chat during the hours their customer is available. Anyway, enter the world of predictable Q&A—the online chatbot. Like “Dom” at Dominos, which allows you to order your pizza from a robot. Dom knows all the variables, typical questions, and kkeywords so it’s smart enough to take a pizza order. Mobile first, not mobile optimized. Just a few years ago, most websites were converted to conform to the increase of mobile users in the B2C environment. That has left many sites with CTAs well below the fold and consumers doing the scroll. That’s not all—the mobile device now incorporates digital facial recognition and forms of payment ready for checkout. Therefore, mobile is the primary device used for online purchasing—nearly two-thirds of online transactions originated on mobile so far in 2018. Your e-commerce site needs to be built for mobile first, desktop and table second. Store analytics. 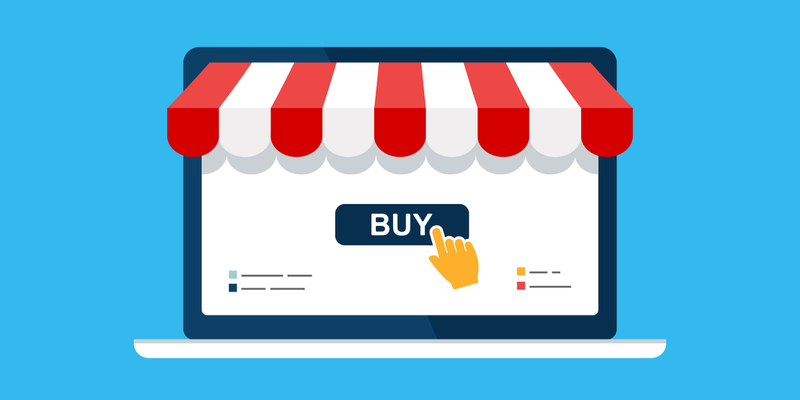 If you have both an online store and a physical store (offline), your current challenge is attributing the sale to your digital marketing efforts if the customer reached the purchase online but bought offline. Google Analytics and many others are addressing this problem with new ways to measure, track, and attribute the sale to non-digital and digital efforts. Authenticity and departmental alignment. What you say online, what you say offline, and what promises you deliver on, that is being authentic—having all those points meet. With the increasing use of voice search via smart devices and your landline still ringing in your call center, consumers can easily know what is up. Your staff needs as much attention as your digital assets. Marketing, sales, and customer service have been working very hard on the customer experience—this is not by accident. This will not go away! Limiting the most common e-commerce mistakes. E-commerce is most likely a major profit center for your business. However, you’ve seen more and more competitors enter the arena to remove your edge. To maintain that advantage, you need a planned approach followed by relentless execution. We see quite a few mistakes as we analyze the e-commerce platforms of prospective clients. Most of the mistakes are the same every time. In this series, we lay out what those mistakes are, how to analyze their impact, and how to overcome those you may have. The fact of the matter is that you have made an enormous investment in e-commerce. From a consultee standpoint, we do not see a day on the horizon that will end that investment fuel. 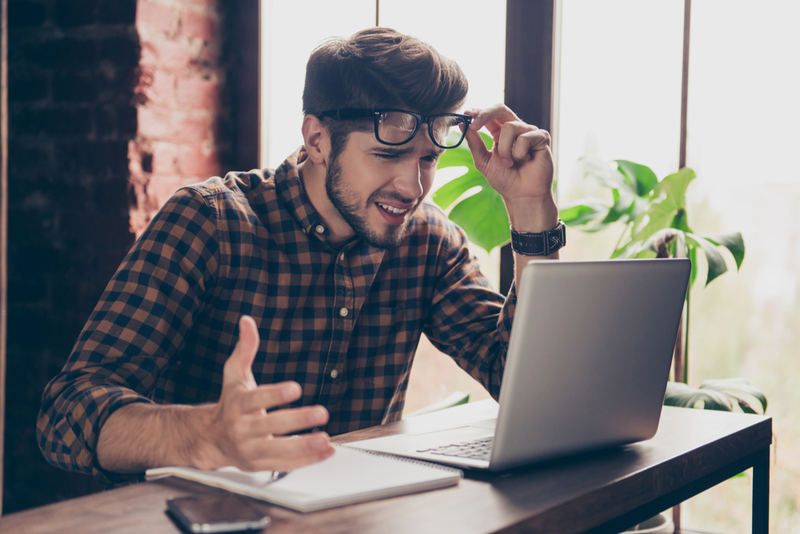 We recognize that balancing your available capital, your business goals, and your multichannel marketing strategy can be difficult, to say the least. We also know that the benefits are immense, assuming your proverbial ship comes in. The leadership team at Viral Solutions has spent decades coaching small business owners, managing direct report salespeople, consulting businesses with both a brick-and-mortar and e-commerce presence, and providing marketing and sales process oversight to some of the top businesses in the country. We have witnessed some common mistakes, some we see repeatedly, and concluded why they exist. Our hope is to arm you with strategy, tactics, and information so that you can compare a standard of best practices to your approach. Admittedly, some of these mistakes we have made ourselves. Success is a horrible teacher. E-commerce can be the Wild West. Online competition can damage your business if that competition outsmarts you. Today’s consumer is armed with more information on your offer than ever before. Adapt to online consumer trends or risk being left behind—like that mall your kids used to hang out at.